Microsoft Office මෘදුකාංග ගැන නොදන්න කෙනෙක් නැති තරම්. අපි භාවිත කරන Word, Excel, Power Point වගේ මෘදුකාංග වල mobile version එක වන Microsoft Office Mobile දැන් නොමිලයේම භාවිත කරන්නට ඔබට අවස්ථාව හිමියි. පසුගිය ජූලි මාසයේ නිකුත් වූ මේ app භාවිත කිරීමට නම් පෙර Microsoft’s Office 365 සඳහා මුදල් ගෙවා subscribe විය යුතුය. 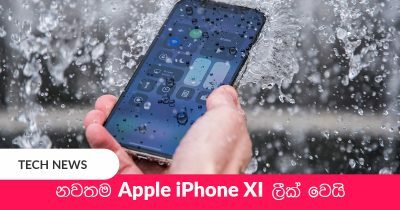 නමුත් මේ නව පහසුවත් සමඟ iPad සහ Android භාවිත කරන ඔබට ලොව ප්‍රභලතම Office apps නොමිලයේම භාවිතකරන්නට හැකියි. මෙම නව දීමනාව හඳුන්වා දෙනු ලැබූයේ iPad සඳහා Microsoft Office හඳුන්වාදීමත් සමඟයි. Microsoft Office Android මඟින් ඔබට documents, spreadsheets, presentations සෑදීමටත් ඉතාමත් පහසුවෙනු ඇති. ඔබේ ජංගම දුරකථනයටත් Microsoft Office ලබාගැනීම සඳහා පිවිසෙන්න. මීට අමතරව ඔබේ Office අවශ්‍යතාවයන් සඳහා Office Mobile වෙනුවට භාවිත කළ හැකි apps කිහිපයක් ලෙස QuickOffice, Documents to Go, Kingsoft Office, සහ Officesuite 7 හැඳින්විය හැක. Keyboard එකේ සැඟවුණු රහස දන්නවාද?